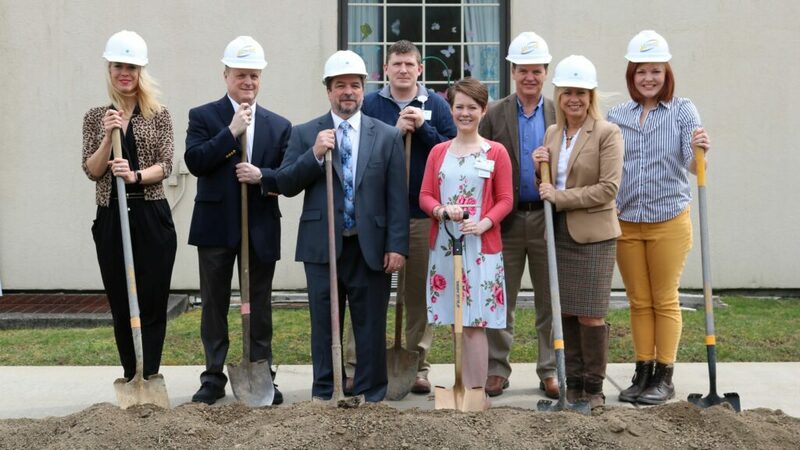 Last Thursday, April 4th, we officially broke ground on the renovations & new construction to Quality Life Services – Sarver. This 2 story, 17,000 sf, $5 million project will provide 20 private short term rehab rooms along with associated bathing spa, Bistro, Nurse Station and new Physical Therapy Gym. It will also provide future space for a new central kitchen and laundry.